This is gorgeous Tracey. 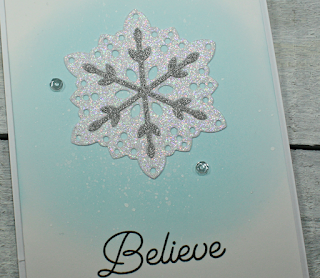 Love the two different glitter layers. Fabulous Tracey, love the sparkle! 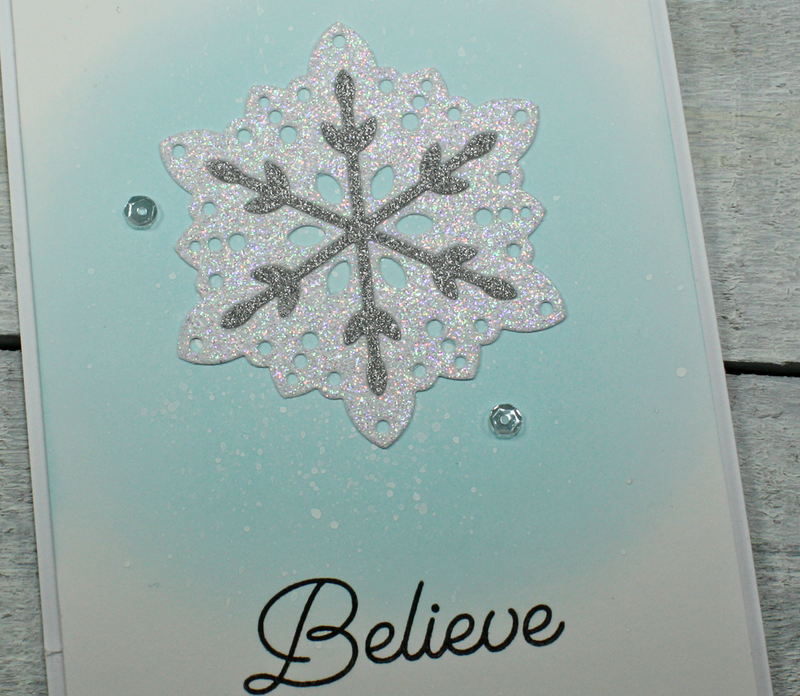 Tracey, such a beautiful snowflake card. 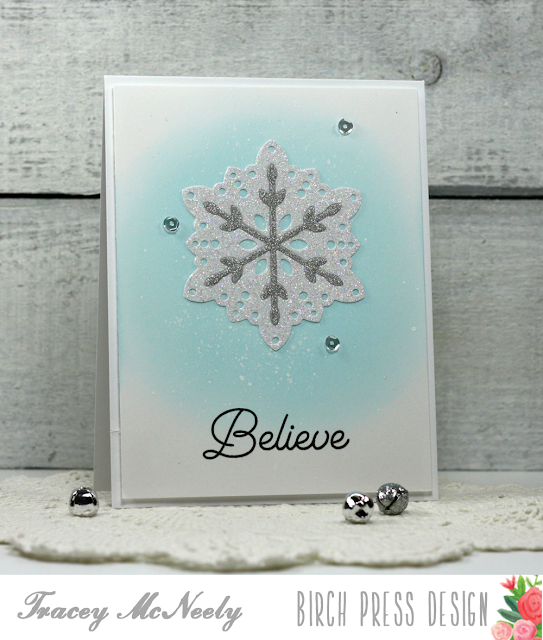 Love the sponged background and the glittery snowflake. Lovely card. Also, awesome 12 kit cards. Love them all. I finally got a day in my craft room and enjoying it. I got to enter MIM and I posted some new pictures of the triplets. Have a Merry Christmas, Tracey!